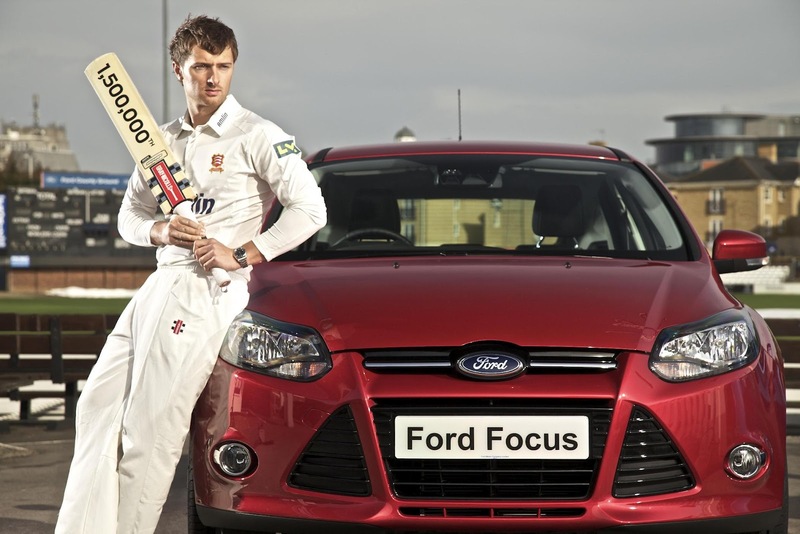 Sales of the Ford Focus reach 1,500,000 this week as Essex batsman Jaik Mickleburgh takes delivery of the landmark car – a five-door Titanium X model. Since launch in 1998, Ford Focus has held the crown of overall sales leader for 10 consecutive years until 2008 when Fiesta took the number one spot. The award winning all-new Focus, launched last year, has received widespread recognition for its driver assistance technologies and more recently the introduction of the 1.0-litre EcoBoost petrol powertrain, which in April - its first full month on sale, accounted for 17 per cent of all Focus sales in the UK. This powertrain combines turbocharging, direct injection and twin variable cam timing to deliver high levels of performance and refinement with all the fuel economy advantages of downsizing. The 100PS version, for example, enjoys up to 170Nm of peak torque, whilst delivering a combined fuel economy of 58.9mpg and outright best-in-class petrol CO2 emissions of 109g/km. The 1,500,000th Ford Focus was delivered to 22-year-old Jaik Mickleburgh, a right-handed batsman playing for Essex Cricket first team and who has also played for the England U19s. Jaik made his first-class debut for Essex in August 2008 against Leicestershire where he scored 60 as Essex won by an innings. In April 2010 Jaik scored his debut first class century of 174 off 388 balls including 13 fours and a six against Durham. With James Foster this helped to set a record 5th wicket partnership for Essex of 339. Ford recently confirmed its ongoing sponsorship of the Essex County Cricket Ground in Chelmsford, called the “Ford County Ground”. Ford is the county's largest private employer with the majority of Ford's 12,000 UK employees based at sales and marketing, manufacturing and research and development facilities in Essex. Ford has sponsored Essex County Cricket Club's home ground since 2005.